You are at:Home»Food Links We Love»Gluten Free Restaurants. Here’s Our Story. What Can You Add? Gluten Free Restaurants. Here’s Our Story. What Can You Add? Here’s the long awaited story on gluten-free restaurants in the Lower Hudson Valley. We visited just 10 places. Do you have more you can add? The story, and the 10 restaurants we featured, after the jump. For a girl who used to live on brownies and cheese ravioli, it wasn’t easy for Rye resident Julia De Santis to accept her recent diagnosis with celiac disease, a digestive disorder that makes an individual unable to tolerate gluten. A type of protein typically found in wheat, rye and barley, gluten is the main ingredient in most pastas, breads and pastries, and is present in many processed and packaged foods. According to the University of Chicago’s Celiac Disease Center, celiac disease affects nearly 3 million people in the U.S., a number that continues to grow rapidly. Also, based on all the new gluten-free products hitting the market, dozens of new cookbooks and conversations with local chefs, many people without celiac disease are adopting a gluten-free diet for its reported health benefits, including cleansing the system and weight loss. In the past, very few dining options have been available to those who avoid gluten; restaurant owners were unaware or unable to prevent cross-contamination. But restaurants are finally catching on. “A lot of people newly diagnosed are totally overwhelmed. They almost go into mourning. You have to completely change your life and that’s a hard choice (to make),” says Karen Miller of the Westchester Celiac Sprue Support Group and the Gluten Free Restaurant Awareness Program. Miller also owns and runs the Three Dogs Gluten-Free Bakery in Briarcliff Manor, which carries treats such as Peanut Butter & Jelly Muffins, Piña Colada Bars, Cinnamon Buns and Mozzarella Tomato Biscuits. “Food is such a social part of our lives, it shouldn’t have to be so anxiety-inducing,” says Miller about how careful she and her customers have to be when eating out. Fortunately, restaurants in Westchester and Rockland host a variety of gluten-free options, from Italian to Indian to kosher cuisine. “It’s so nice to go to a normal restaurant with friends and be able to eat something!” says De Santis after leaving Ole Ole, just one in a sampling of restaurants that offer gluten-free-choices. 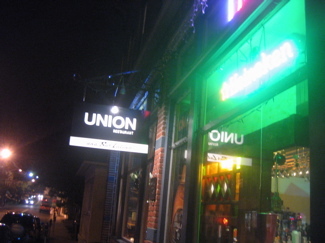 A cozy, traditional restaurant-pub set on a side street in the village that leads down to the Hudson River. The décor features brick walls lined with holiday lights and black-and-white photographs. There’s often a bustling crowd, tended to by black-clad servers who flit in all directions refilling drinks and taking orders. “People who are on gluten-free diets are limited unnecessarily,” says owner and chef Maud Tucker, who is very accommodating to GF (gluten-free) cuisine. She makes all the tavern’s sauces, soups and salad dressings on-site — to allow for strict regulation of ingredients — and can make nearly all of the dishes on the regular menu GF upon request. A GF sampling: Grilled marinated loin lamb chop with vegetables and red potatoes; sautéed shrimp in lemon white wine sauce with assorted vegetables; fusilli with mushrooms, tomatoes, peas, garlic and parmesan. 149 Southside Ave.; 914-478-2326; maudstavern.com. Lunch: Noon-5 p.m. daily except Tuesday, and Sunday, when brunch/lunch is served 11:30 a.m.-5 p.m. Dinner: 5-10 p.m. Sunday-Thursday, until 11 p.m. Friday and Saturday. Locals call it one of the best Chinese restaurants in the area, and its distinguished by soothing dark walls and a quiet reserve. Colorful hanging lamps and a large American flag add accents, and brush paintings and red-and-gold good-luck charms provide a traditional note. Visitors can expect a welcoming and comfortable dining experience at the family-owned restaurant offers patrons. GF sampling: Chow Fun rice noodles with your choice of chicken, beef, pork, shrimp or vegetables; Chicken with broccoli; chicken with crispy walnut; moo shu pork. 875 Saw Mill River Road; 914-693-2110. 11:30 a.m.-10 p.m. Monday-Thursday. 11:30 a.m.-11 p.m. Friday and Saturday. A classic yet accessible bistro in the heart of Yorktown Heights. Pale yellow and green walls give the interior a simple elegance, while green tables with red-and-white umbrellas make the patio seating a little more casual. “People who come in for the gluten-free menu are just so appreciative. It makes me feel great to do such a service,” says owner and chef Dave Shakin, who created the menu after careful research and ensures that all staff are specifically trained for GF tables. The restaurant was given an award of appreciation by the Gluten Free Intolerance Group. GF sampling: Pulled pork and jack cheese quesadillas; sautéed calf liver with mashed potatoes; creamy duck and chicken liver pâté. Peanut butter cookie parfait; coconut crème brûlée; poached pear and sorbet; flourless chocolate cake. Lunch: 11:30 a.m.-2:30 p.m., Tuesday-Friday. Dinner: 5:30-9:30 p.m., Tuesday-Thursday; 5:30-10 p.m. Friday; 5-10 p.m. Saturday; 5-9 p.m. Sunday. A vibrant Italian restaurant full of kid-friendly flare. Though the colorful, and, at times, overloaded interior is not for the faint of heart, anyone looking for a whimsical encounter will rejoice in everything from the rainbow archway to the checkerboard flooring and bright Looney Tunes mural. Those looking to relax can sit at the outdoor, street-side tables for a calmer experience, while children can take advantage of the adjoining arcade and playroom. Be sure to try the GF gelato! A GF sampling: Potato points (GF crust topped with potatoes, cheddar, Monterey Jack and crispy bacon; chicken parmigiana grilled and topped with marinara and mozzarella (also in eggplant); risotto with baby clams, shrimp, calamari, arugula, sweet peas and shaved parmigiano and basil; Margherita pizza with sautéed tomatoes, mozzarella, sun-dried tomatoes and fresh basil. 153 E. Main St.; 914-241-1200; bellizzifood.com. 11 a.m.-9 p.m. Sundays-Thursdays, 11 a.m.-10 p.m. Fridays-Saturdays. A little bit deli, a little bit diner, filled with comfortable booths and customary kosher food. A long room with sponge-painted walls and red and white seating, the deli provides families with a relaxed ambience and sweet, chatty cashiers. “Kids will come in and ask for the (gluten-free menu). It’s good for everybody, they like it, we like it,” says owner Robert De Groat. 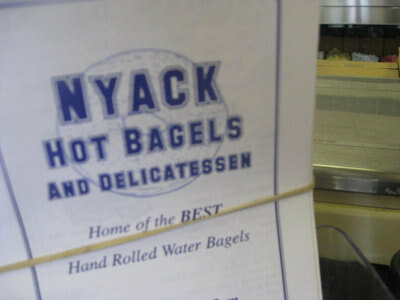 387 North Central Ave.; 914-428-5320; epsteinsdeli.com. Dining room: 11 a.m.-9 p.m. daily, until 10 p.m. Saturday. Counter/takeout: 9 a.m.- 9 p.m. daily. A Spanish-Mexican-Latin diamond in the gluten-free rough. Bright orange, green, red and blue walls liven the space and sturdy wooden tables add earth tones and balance to the décor. A neighboring room with flowing curtains and hanging wall sculptures would be a great setting for surprise parties or dinner events. Diners are greeted by cheery staff, who are knowledgeable about both the GF cuisine and preparation style. A GF sampling: Guacamole, Aztec Chicken marinated in olive oil, lime juice and ground pepper topped with homemade mango sauce; Maya New York strip steak; paella; and pico de gallo. Noon-11 p.m. Tuesdays-Thursdays, until midnight Fridays and Saturdays, until 10:30 p.m. Sundays. A bustling pizzeria offering only one fully gluten-free item — pizza. Hungry customers crowd the counter, pushing forward to order from the smiling, quick-spoken servers. A large tile mural of Italy, hanging potted plants and red-shingled roofs above the tables make the interior resemble an outdoor café. The restaurant partners with “Still Riding Pizza,” a company that produces authentic, New-York-style GF pizza crust and trains pizza parlors to prepare it properly. A GF sampling: Come hungry, as you need to order a full pizza. 121 Rockland Center (Route 59); 845-623-7050. 11 a.m.-10 p.m. Mondays-Saturdays, noon-10 p.m. Sundays. In an old house across from the Congers train station, Grande Centrale provides a lovely location for a casual dinner. Guests can choose the patio, which is decorated with flowerpots, or the small dining room, which has striped walls, crisp maroon tablecloths and elegantly folded napkins. It was once the locale for “Frank Sinatra night” and other special occasions but has recently started drawing new fans — the gluten-free crowd. Though Grande Centrale doesn’t have an exclusively gluten-free menu, the chef happily caters to GF patrons. A GF sampling: Pine nut trout, shrimp delcampo (jumbo shrimp with artichoke hearts and red onions, vermouth and fresh herbs). 17 North Rockland Ave.; 845-267-3442. grandecentrale.com. Indian cuisine served in a setting that features golden statues, flowing saris and quiet luxury. Rich aromas of spicy chicken, lamb and vegetable dishes fill the main room, catering to a variety of cravings. Bright cushions contrast the dark chairs and deep wooden floors. Servers glide from table to kitchen, maintaining the calm air of the meal. A GF sampling: Dal makhni (traditional Punjabi preparation of black lentils); Chicken Dopiaza with twice-cooked onions; lamb chops masala; full menu of tandoori. 125 Main St., Nyack. 845-353-3663. spiceofindianyack.com. Lunch: 11:30 a.m.-2:30 p.m. Mondays-Fridays, noon-3:30 p.m. Saturdays-Sundays. Dinner: 5:30-9:30 p.m. Sundays-Thursdays, 5:30-10 p.m. Fridays-Saturdays. Chili’s Grill & Bar, along with some of the other franchises with GF menus, provides patrons with a reasonably priced option for a hassle-free dinner. A family-style restaurant chain, Chili’s is often loud and bustling with practiced servers carrying classic comfort food. Typical weekend nights often require a short wait if you arrive during peak hours but weekdays allow for rapid seating and service. Servers are friendly and knowledgeable and are always willing to look into menu items and details. A GF sampling: Guiltless carne asada steak; honey BBQ grilled baby-back ribs; mushroom Swiss burger (no bun); chicken Caesar salad. 4434 Palisades Center Drive; 845-353-9774; chilis.com. 11 a.m.-11 p.m. Sundays-Thursdays, 1 p.m.-12:30 a.m. Fridays-Saturdays. Thank you for raising awareness of the great efforts on the part of the restaurant/bakery owners in our area who are accomodating us and the many volunteers who help initiate the creation of gluten-free menus. Nature’s Temptations, a health food store with locations in Cross River, N.Y. and in Ridgefield, CT, caters to the gluten free crowd. Endless products from pastas to bread mixes to candy to hot dog buns and the list goes on. Special orders are available for specific products. Many local GF creators sell there wares there. Executive Chef Liz Gagnon creates custom dishes and cakes for customers with a range of allergies. Special orders, call Chef Liz at (203)438-5443. Be Well! The Melting Pot in White Plains can also accommodate a gluten-free diet. Just let the server know and they will be glad to prepare the cheese fondue without flour. Other than that the only things to worry about are the cakes on the dessert plate and they will gladly substitute more fruit to dip into the chocolate! I saw your post about gluten-free dining in Rockland. I would like to share with your readers that we make all our sauces from scratch and therefore do not add flour or starches to thicken them. Other than our pastas, all of our appetizers and entrees are gluten-free. I usually make a flourless chocolate cake that is gluten free. My son has celiac and we are a gluten free household.